Lets face it, lettuce is one of the fastest growing crops from transplanting to maturity. What makes it even more crucial is that the whole plant is harvested, unlike parsley or tomatoes where the harvest period can be extended. The great advantage is that more than one crop can be harvested per year, so staggering the transplants makes continuous production possible. The ability of multiple crop cycles and harvesting periods smooth out supply to markets, but it also reduces the total area that is harvested at any point in time. For instance, during certain times of the year it is possible to harvest butter lettuce within a month, so theoretically one could have 12 cycles during the year in heated tunnels. You are lucky if this can be achieved but cost of heating must offset price and a combination of constant market supply and quality. 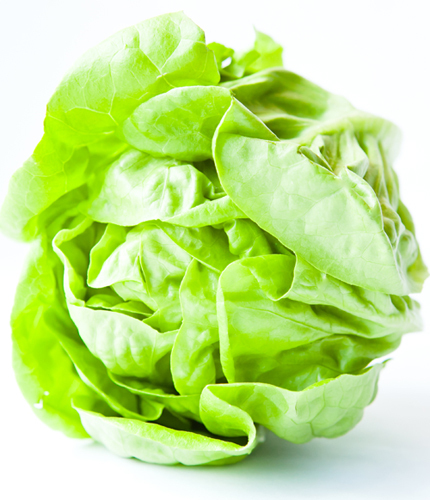 Two factors influence lettuce head formation; light intensity and temperature. If both these factors are measured and correlated with a variety over time, lettuce maturity can be predicted. Keeping light intensity constant and up to a certain level requires artificial light. The lights are used during cloudy days to compensate for loss of natural light. It is interesting that predicting butter lettuce maturity based on light intensity and temperature is not that easy. But then butter lettuce grows faster than crisp head lettuce and mature heads are easier to identify since they do not form a hard compact head. Because of their short growth cycle, nutrient formulations don’t change. If you can get 8-9 cycles per year, it is difficult to maintain and control 8-9 different nutrient formulations. Growers that use growing tanks in which lettuce float all use the same nutrient formulation. Some refinement can be done during the season to compensate for temperature, but not for growth stage as in tomatoes, peppers and cucumbers. 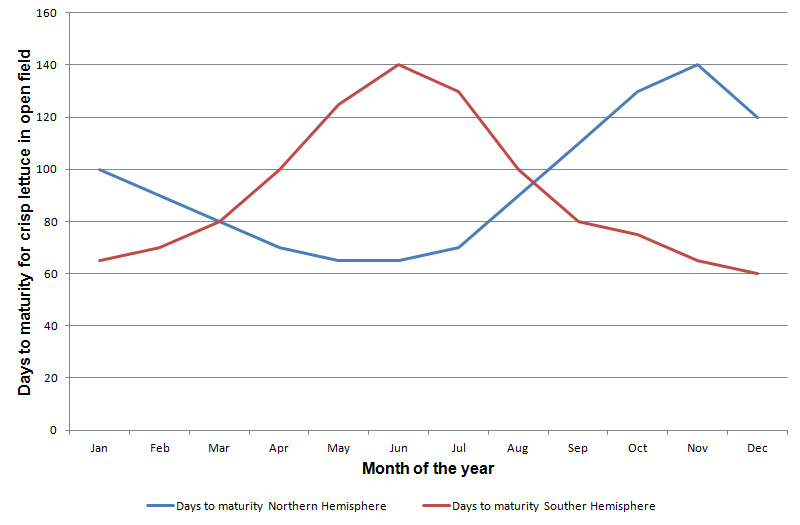 Predicting maturity time is easier said than done. Growers need a couple of years experience with a variety and if enough data is accumulated, it can become a handy tool. The more controlled the environment is, the more accurate the prediction. The best results will be obtained in glass structures with artificial light.